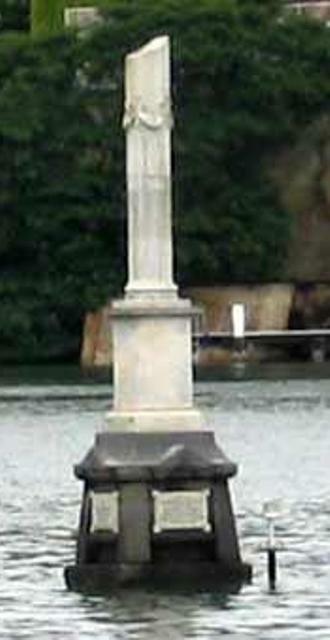 Further to the post on the Ned Hanlan Monument on July 29, 2010 There are several other monuments to scullers, and in particular to World Champions of the professional era. 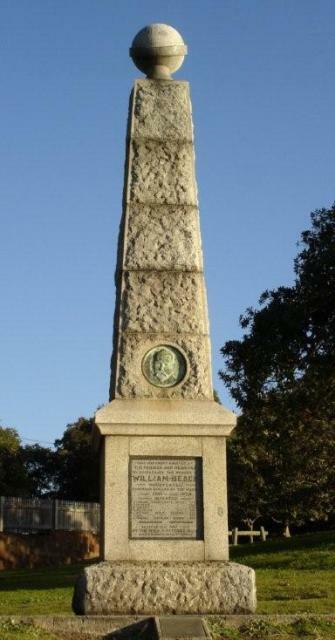 The William Beach Memorial is situated in Cabarita Park which is on the banks of the Parramatta River in Sydney. This river was the site of several of Beach’s victories, and the place where many other races of the professional era were run. 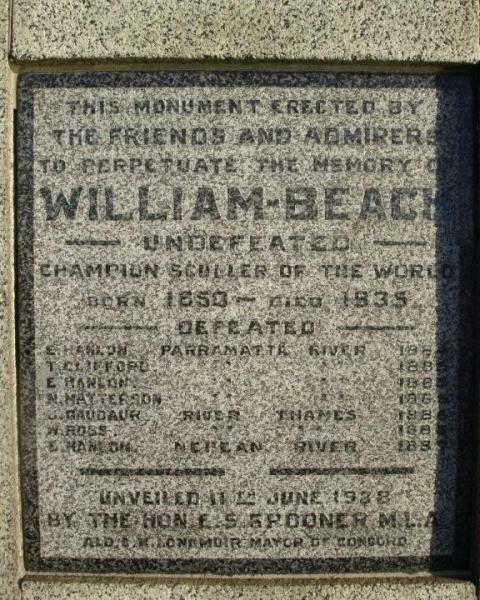 Beach lived from 1850 to 1935 and the monument was erected by his friends in 1938. A copy of the programme for the unveiling of the monument can be found here. 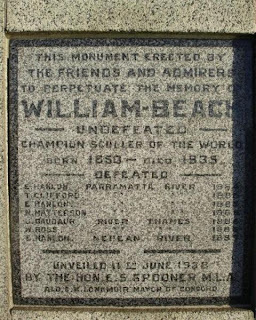 A plaque on the monument describes Beach as the “Undefeated Champion Sculler of the World.” It then lists his seven opponents, the place of each race, and the year in which each race took place. Ned Hanlan is listed as “Hanlon” which was an alternative spelling of his name and was sometimes to be found in the newspapers of the day. 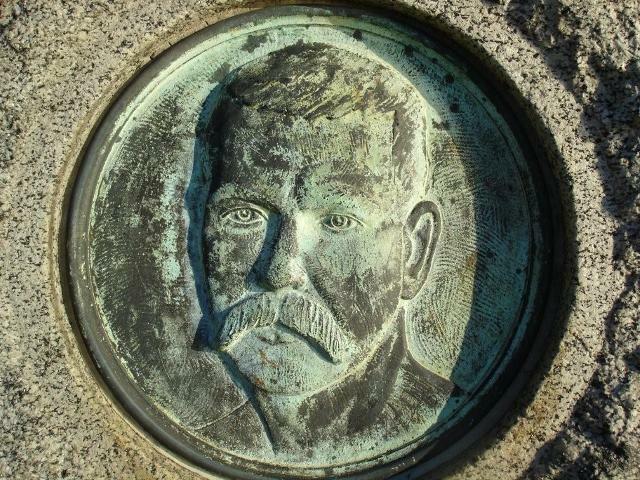 Above the plaque is a bronze bas-relief of the face of Beach (see photo on top) with his rather prominent moustache. 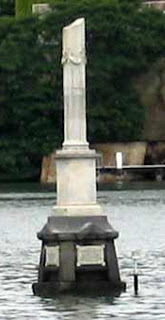 Separately at the foot of the monument is a modern stainless steel plaque which discusses rowing including Trickett’s win, Henry Searle, and other racing on the river and in Sydney. The plaque on the Beach Monument. Trickett became World Champion in 1876. After his death in 1916 he was buried in the Uralla cemetery (New South Wales.) There, a memorial to him was erected by public subscription in 1918. Of recent times the memorial has been removed and is now in the care of the McCrossin’s Mill Museum where Trickett’s achievements are commemorated. Searle became World Champion in 1888 after beating Peter Kemp in a race in Sydney. His next race was against Canadian William O’Connor which took place on the Thames in London which Searle won. On his way back to Australia Searle caught typhoid and passed away in Australia in late 1889. A crowd estimated at 170,000 packed Sydney for his funeral service. A memorial to Henry Searle was erected in 1891 on The Brothers rocks on the Parramatta River. It consists of a plinth on which is a broken column which symbolises a life taken young. Similar columns are sometimes found in Victorian era cemeteries. (The column was manufactured to appear broken rather than being broken after erection.) The Searle Monument became the traditional finishing post for sculling and rowing races on the Parramatta. On it is a plaque but I have never been able to get close enough to read it as I have only ever passed it on a ferry. The captains of ferries are not known for being accommodating to historians. Perhaps a Sydney person could get in a boat and get close to it and take a photograph. Three earlier era scullers are commemorated by monuments. Robert Coombes was World Champion 1846–1851 and after he died in 1860 a large monument was erected over his grave. You can read about it here. Another Robert, this time Chambers, also had a great monument raised over his grave and a picture can be seen by clicking here. Chambers was a Tynesider who was World Champion for two periods vis; 1859–1865 and 1866–1868. He was another to die young, aged 37, in 1868. The other famous Tynsider to become World Champion was James Renforth who gained the title in 1868. 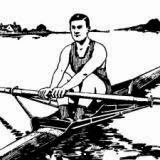 Renforth famously died in 1871 shortly after competing in a four oared race in Canada. It seems that he had an undetected heart condition possibly connected to an epileptic condition. He was even younger than Chambers being only 29 at his death. You can read about the monument raised to honour him here, and a piece by Chris Dodd about the restoration of this monument here. James Renforth collapsing in the arms of fellow oarsman Harry Kelly. There are a number of streets in Tennison Point, Sydney named after scullers and also some in Surfer's Paradise. Last time I was in Sydney I got in a taxi and went around these streets and took photographs of the street name signs. There may be other monuments to scullers around the world but these are the ones I am familiar with. 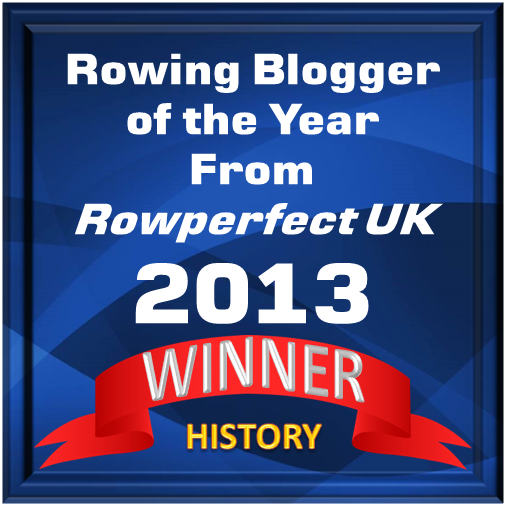 All these scullers (and many others, and rowers too!) have an entry on Wiki if you want further information about any of them. Many warm thanks to Bernard for sharing these interesting stories! 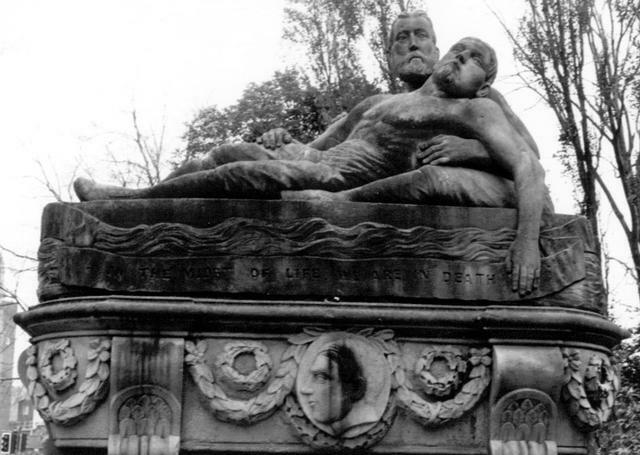 Here are some links showing details of Harry Clasper's death and grave/monument. There are plenty of others on the web and of course in the books by David Clasper, Peter Dillon and Ian Whitehead. Ian Whitehead gave an interesting talk on the Tyneside Rowers at the Rowing History Forum at the River and Rowing Museum in Henley in 2007.